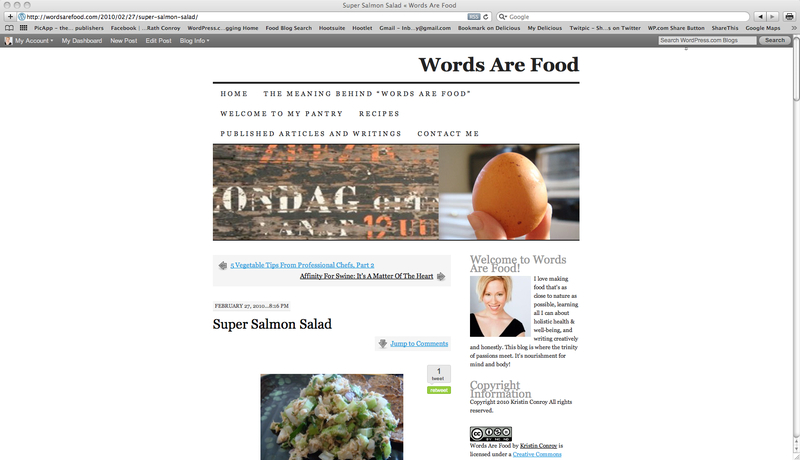 Does My Blog Need a Face Lift? Dear readers, I need your help. My blog is now 4 months old, and might be ready for a little update. WordPress has come up with interesting new templates for me to use, and I’m wondering if now is the time to take advantage of some cool features. I found one template in particular that really appeals to me, but before implementing it, I wanted to get your opinions first. 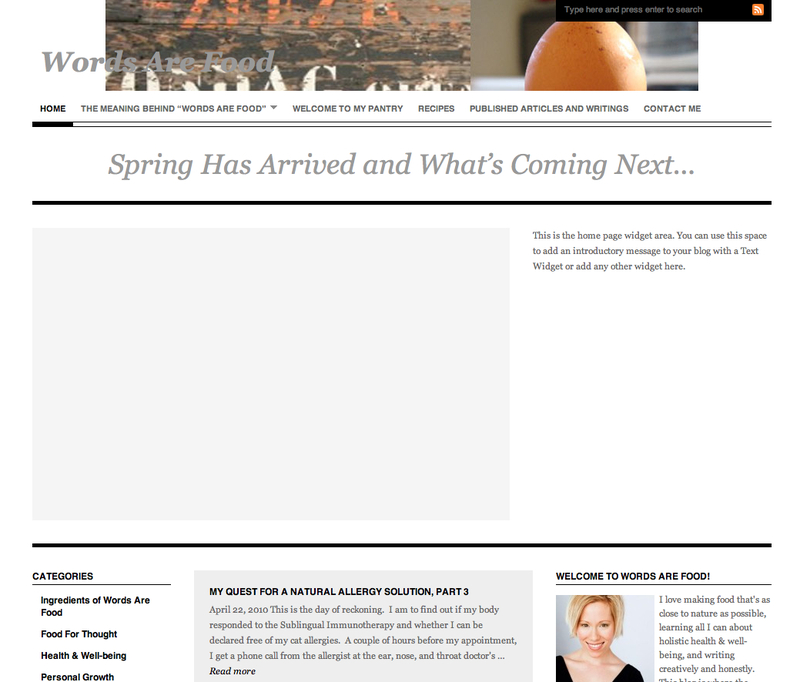 After all, my blog is for your enjoyment, and if you don’t like the layout, what’s the point? So I would love some feedback before I go and change everything. 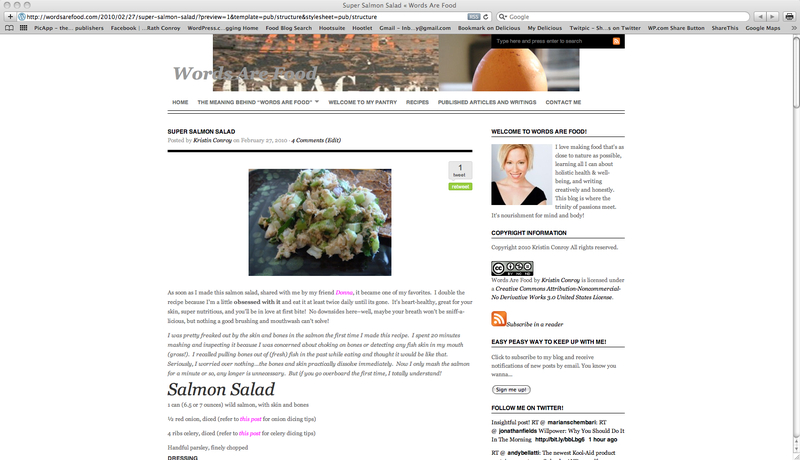 Below is a screen shot of a past post in the layout I am currently using. You have to scroll down to get to the body of the post because all the space on top is taken up by page categories, header picture, and “previous/next” post buttons. There’s also tons of white space between sections, which really bugs me. If you click on the picture for a larger view, please remember to press your browser’s “back” button to return to this post! Below is the template I’m considering. I like that there is less space used on top, so you can get to reading the post before scrolling down. The posts are wider, and the layout is more appealing to me. The potential negative to this template is the smaller font. I don’t mind it, but I’m wondering if it’s too hard to read? Another big difference between the two layouts is the homepage. Below is my current homepage, which displays my most recent post. You can navigate to previous posts from the sidebar, but it takes a bit of effort. 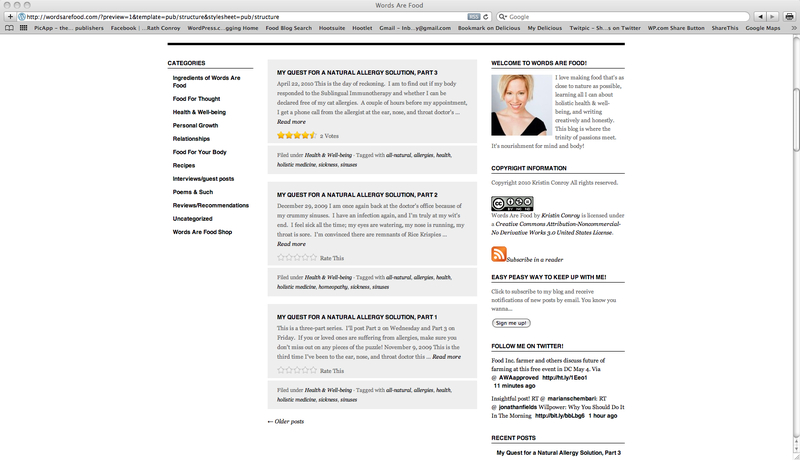 Now compare my current homepage to this one. The top has a welcome section where I can introduce my blog and display information and news, along with a static picture. It’s blank because I couldn’t add that info without committing to the new layout. Check out the top black bar where I can display Twitter, Facebook, and RSS feed buttons. 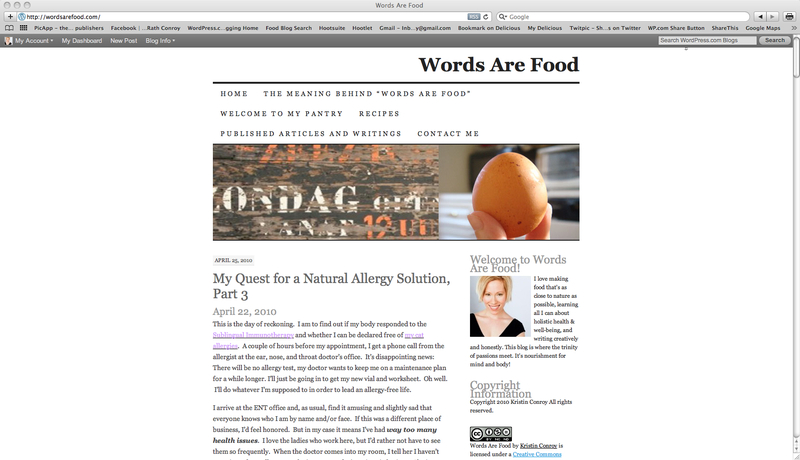 I really dig the page categories bar on top because it doesn’t take up much room and has a drop-down menu option if I have subcategories (like I do for “The Meaning Behind Words Are Food”). The other bonus to this template is that it shows summaries of the last few posts with a “read more” button for the full story. I appreciate the extra sidebar on the left, giving you easy access to my categories. So what do you guys think? Will this new template be an improvement over my current one? Or do you think the downside of smaller font outweighs its benefits? I do like a lot of the features in the new layout, will there be a cost to change the layout? If so, I don’t think it is all that necessary. If there is no cost, it is a great new look. Ok hope that helps in your choice. Good luck and keep up the good work (I know it is alot of work for you to post so often and research, etc.) thank you for all of the info!